Home » Blog » Development » Blank images in Puppeteer screenshots solved! Blank images in Puppeteer screenshots solved! Frustrated with getting blank images in Puppeteer Chrome screenshots, recently I was in a situation where I needed to migrate an existing Puppeteer project from Ubuntu over to CentOS7. When the transition to the new OS was made, I noticed an odd quirk where some of my screenshots would end up returning a blank white image. 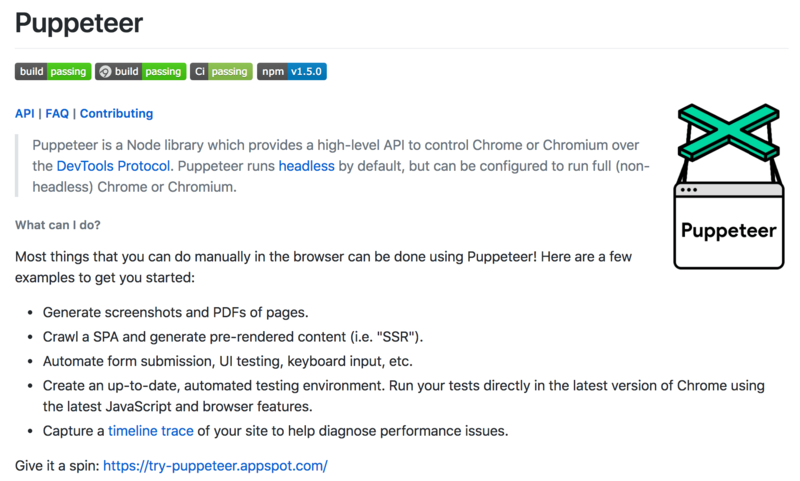 Perplexed as to the reason why, I trolled through many of the Github issues raised in the Puppeteer project. I eventually narrowed down my issue to this specific one – the main reason being that when using the elementHandle.screenshot function, capturing an element outside of the viewport results in a blank / empty screenshot. Debugging the URL page I was performing the screenshot on, my default viewport width and heights were 1920 x 1280. The actual width and height of the full page was 1920 x 6785.14252. I noticed the page had a height with a decimal in it. Further down in the comment, the same issue raised mentions that others who have a height value with decimals in it, will have the same symptoms of a blank image being returned too. I eventually solved my blank images issue after stumbling across this pull request which gave me the idea to resize the viewport before taking the screenshot.